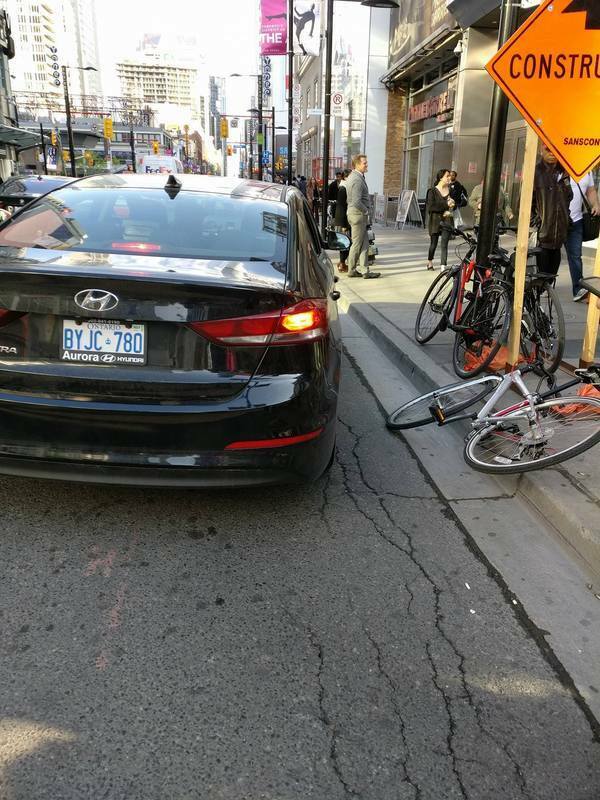 An Uber passenger doored me as I was biking south along Yonge St (near Edward St.) I fell off my bike onto the sidewalk. I also received bruises and scrapes on my right knee. A passerby saw the incident and is a witness. Waiting for police officer to call me back to file a report.